Synovus Trust Portfolio Manager Dan Morgan on the outlook for Tesla and the tech sector. Tesla is swinging the job axe in an attempt to trim costs. The electric automaker is cutting several thousand jobs, while it ramps up the production of its crucial Model 3 sedan. 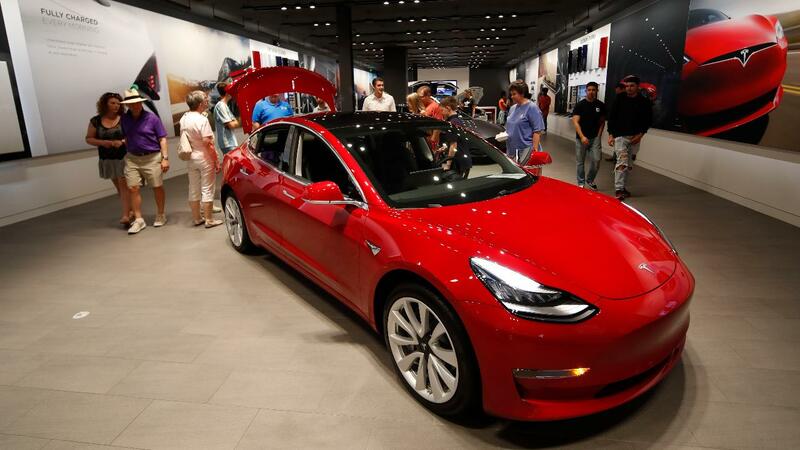 "Tesla will need to make these cuts while increasing the Model 3 production rate and making many manufacturing engineering improvements in the coming months," Chief Executive Officer Elon Musk said in an email to employees that was published on the company&apos;s blog. "There isn&apos;t any other way," he said. The company said it would reduce full-time employee headcount by about 7 percent and retain only the most critical temps and contractors, according to Reuters. Tesla cut U.S. prices for all its vehicles as the new year began to offset lower green tax credits. The automakers also fell short on quarterly deliveries of its mass-market Model 3 sedan.